How similar are Mexico’s two major deserts, the Sonoran Desert and the Chihuahuan Desert? 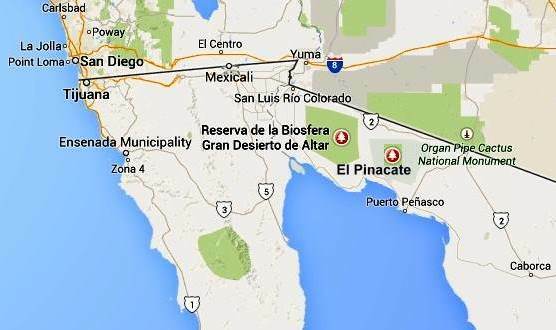 Other Comments Off on How similar are Mexico’s two major deserts, the Sonoran Desert and the Chihuahuan Desert? There are four desert areas in North America. Two of these areas (Great Basin and Mojave) are in the USA. The other two (the Sonoran Desert and the Chihuahuan Desert) are almost entirely in Mexico, but extend northwards across the border. The Sonoran Desert includes most of the Baja California Peninsula, together with the western part of the state of Sonora. The Chihuahuan desert is the northern section of the Central Plateau, including the northern parts of the states of Chihuahua. The Chihuahuan Desert has been intensively studied by scientists interested in the possibility of life on Mars – see this New York Times article: Learning About Life on Mars, via a Detour to Mexico. In a previous post – Why is northern Mexico a desert region? , we saw how the combination of the descending air of the Hadley Cell, which results in surface high pressure, and the effects of rain shadows resulting from neighboring mountain ranges contribute to the low annual rainfall total characteristic of both Mexico’s desert areas. While these two deserts both experience an arid climate, they also have many differences. The Sonoran Desert has an area of about 311,000 square kilometers (120,000 sq mi). The Chihuahuan Desert has an area of about 362,000 square kilometers (139,769 sq mi). The Sonoran Desert is lower in elevation that the Chihuahuan Desert, with some parts (in the USA) lying below sea level. The Chihuahuan Desert varies in elevation from 600–1675 m (1969–5495 ft). 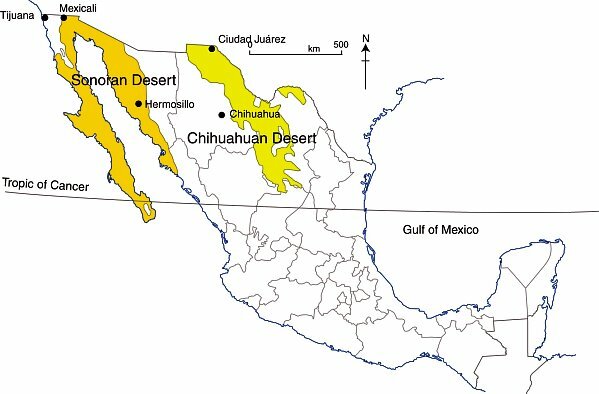 The Sonoran Desert tends to have higher summer temperatures than the Chihuahuan Desert, though even in the Chihuahuan Desert, daytime temperatures in summer are usually between 35 and 40̊C (95-104̊F). The ratio of winter to summer rainfall decreases from west to east. Most of the Sonoran Desert (to the west) has a bimodal rainfall regime with spring and summer peaks. On the other hand, most of the limited rain that falls in the Chihuahuan Desert comes in late summer. The Chihuahuan Desert has a mean annual precipitation of 235 mm (9.3 in), though annual totals vary from 150 to 400 mm (6–16 in). These seasonal rainfall differences result in significant differences in the vegetation of the two areas. The bimodal precipitation in the Sonoran Desert provides two flowering seasons each year. Some plants bloom in spring, following winter rains, while others flower in late summer, following summer rains. Typical plants in the Sonoran Desert include columnar cacti (Cereus spp.) such as sahuaro, organ pipe, and cardon, as well as many other types of cacti, including barrels (Echinocereus), chollas (Opuntia spp.) and prickly pear (Opuntia spp.). Other succulent plants are also common. More than 60 mammal species, 350 bird species, 20 amphibian species, 100 reptile species, 30 native fish species, 1000 native bee species, and 2000 native plant species have been recorded in the Sonoran Desert. The Sonoran Desert includes the Colorado River Delta, which was once an ecological hotspot within the desert, fueled by the fresh water brought by the river, though this flow has become negligible in recent years. See, for example, Will the mighty Colorado River ever reach its delta? The vegetation of the Chihuahuan Desert is dominated by grasslands and shrubs, both evergreen and deciduous. Common species include tarbush (Flourensia ternua), whitethorn acacia (Acacia constrictor) and creosote bush (Larrea tridentata). The Chihuahuan desert has small cacti; succulent agaves (Agave spp.) and yuccas. Plants bloom in late summer, following the summer rains. The Chihuahuan Desert is home to about 350 of the world’s 1500 known species of cactus, and includes the fascinating area of Cuatro Ciénegas, which has an unusually high number of endemic plant species and is one of the world’s richest hotspots for locally endemic cacti. 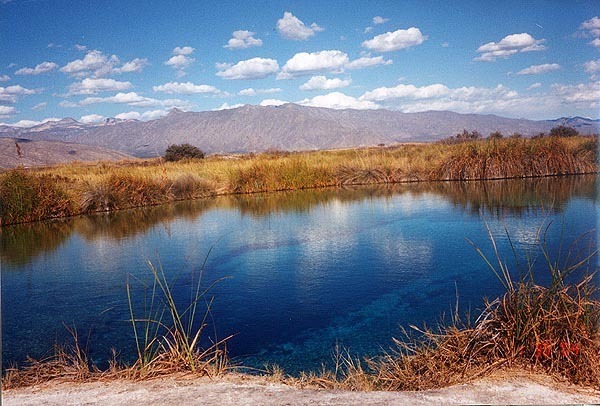 The Chihuahuan Desert is considered to be one of the three most biologically rich and diverse desert ecoregions in the world, rivaled only by the Great Sandy Tanmi Desert of Australia and the Namib-Karoo of southern Africa. However, settlements and grazing have heavily degraded the natural vegetation of some parts of the Chihuahuan Desert. he Chihuahuan Desert has about 3500 plant species, including up to 1000 species (29%) that are endemic. The high rate of endemism (true for cacti, butterflies, spiders, scorpions, ants, lizards and snakes) is due to a combination of the isolating effects of the basin and range topography, climate changes over the past 10,000 years, and the colonization of seemingly inhospitable habitats by adaptive species. See here for more details of the flora and fauna of the Chihuahua Desert. This basin and range landscape of the Sonoran Desert trends north-northwest to south-south-east. Parallel faulted blocks are separated by alluvial bajadas (broad, debris-covered slopes), pediments and plains, which become wider approaching the coast. Despite being a desert area, this region exhibits many features that have resulted from water action, including wadis, salt flats, stream terraces and alluvial fans. For a fuller description of the landforms of the Sonoran Desert, see this extract from A Natural History of the Sonoran Desert (edited by Steven J. Phillips and Patricia Wentworth Comus) published by the Arizona-Sonora Desert Museum. 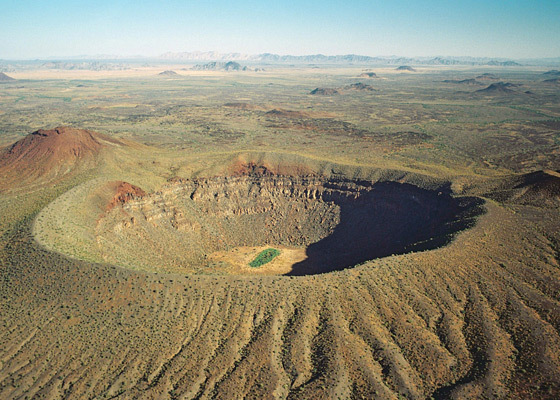 The Sonoran Desert includes the subregion of the Sierra of Pinacate (part of El Pinacate and Gran Desierto de Altar Biosphere Reserve) with its distinctive volcanic cones, craters and lava flows. For more details, see The landforms of the El Pinacate and Gran Desierto de Altar Biosphere Reserve. The landforms of the Chihuahuan Desert have been molded by tectonic uplift and erosion. Steep-sided but low hills are separated by wide bajadas from former lake beds and alluvial plains, occupying inland basins known as bolsons. Many parts form closed, interior basins with no external drainage. 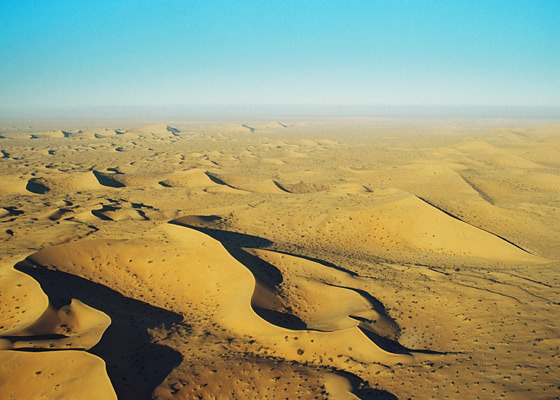 South of Ciudad Juárez, at Samalayuca, is one of Mexico’s most extensive areas of sand dunes. This is one of the most arid parts of the country, with high levels of salinization.